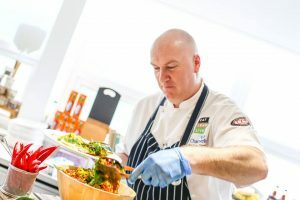 SALFOOD achieves Bronze Food for Life Catering Mark for serving fresh and healthy meals in Allerton and Maxwell Restaurants. SALFOOD has achieved the Soil Association’s Bronze Food for Life Catering Mark, for serving fresh meals that meet nutritional guidelines. More and more, people want to know where their food comes from and how it has been made. Catering Mark-award holders have proved that they maintain high standards of traceability, freshness and provenance. 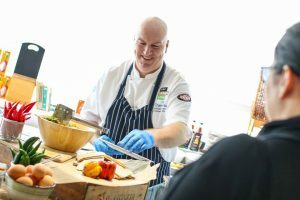 The award recognises restaurants and caterers who serve fresh food which is free from controversial additives and better for animal welfare, and includes a rigorous on-site inspection. Andrew Deeny (SALFOOD Executive Chef) said: ‘We’re delighted to have achieved the Bronze Food for Life Catering Mark. We’ve always strived to serve fresh and nutritious meals, and this award recognises our commitment. We’re already thinking about how we can work towards our Silver award’. You can follow SALFOOD on Twitter @UoS_SALFOOD and on Facebook at http://www.facebook.com/salfood.